First of all, I just love the concept. Sin City Collectors is a multi-author series of paranormal romance novellas. It’s not the only multi-author series out there, but as far as I know it’s the only one that works like this. 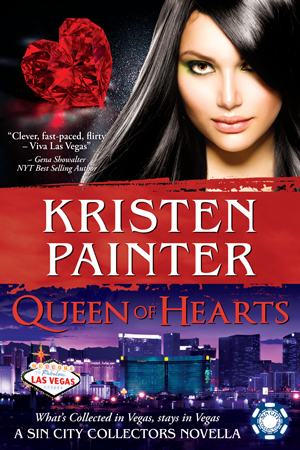 The series centers on a group of paranormal bounty hunters, or Collectors, in Las Vegas working for the mysterious “Boss.” They receive playing cards with the name and location of their assignment and go retrieve their Collection. Each novella is a stand-alone with its own HEA, though some characters do cross over. And I love what the authors are doing within that framework so far. Amanda Carlson and Kristen Painter have each released one novella and have a second coming in the next few months. They have both featured paranormal creatures that we just don’t see very often in UF/PNR. Carlson’s first installment featured a dhampir and a hellhound working together against a powerful vampire. Painter’s first was about a gargoyle and a grimalkin, and her upcoming release pairs a wraith and a demi-goddess. It’s so refreshing to see something a little different than the vampires and werewolves that dominate the genre. Each novella builds the world a little bit more, adding a new creature or a new location. So far we’ve been to a supernatural bar, a hotel/casino, and a magic show. As much as I want to know everything about this world right now, I’m having a great time seeing each novella build on the last. 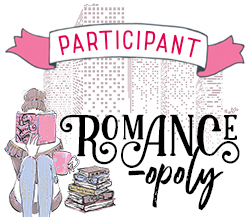 Additional authors are planning to participate in 2015. So far Sara Humphreys, Angie Fox and Shawntelle Madison have been announced. More sales now may attract more authors to keep the series going. It could also lead to a print anthology or full-length novels or Sin City Collectors t-shirts (and they’d have to send me one because it was my idea, right?) The authors are really keeping the options open. The novella format is also a great way to get to know new authors. If you haven’t read Amanda Carlson’s Jessica McClain series, Aces Wild will give you a pretty good idea of her style. It’s a small commitment of time – you can easily read one in a day - and money – they’re priced at $2.99. I haven’t read all of the authors who are planning to contribute to the series, but I’m looking forward to seeing what they add to the Collectors’ world. Sin City is a great setting for the supernatural. The world has an anything-can-happen atmosphere built in. Sofia, the witch heroine in Amanda Carlson's novella Ante Up, explains it like this: "There's definitely something magical about this place, like a mirage in the desert that shouldn't actually exist. The moment I landed, I felt a magical vibe here." It also welcomes over the top luxury and outrageous characters. I can't wait to see what crazy creatures and magical misadventures this series will bring next. I reviewed the first 2 novellas on Goodreads. Links below. And watch for my review of Amanda Carlson’s next Sin City Collectors novella, Ante Up releasing 8/18. 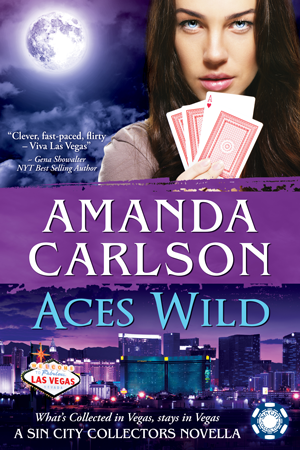 In case you're not entirely convinced to pick these up, Aces Wild is 99 cents this week!